This cross from Borneo Exotics promises to be one awesome hybrid. 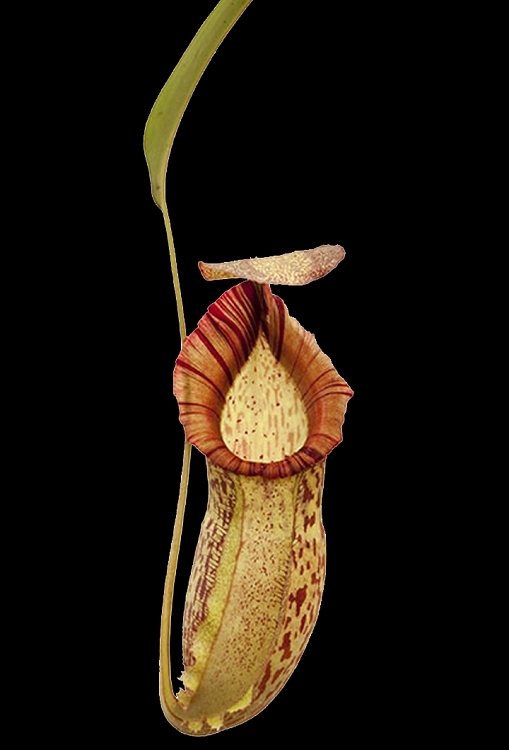 The Nepenthes spectabilis 'Giant' parent is well-known and VERY highly sought after by collectors for its size, wonderfully speckled pitcher, and beautiful candy-striped pitcher peristome (lip). 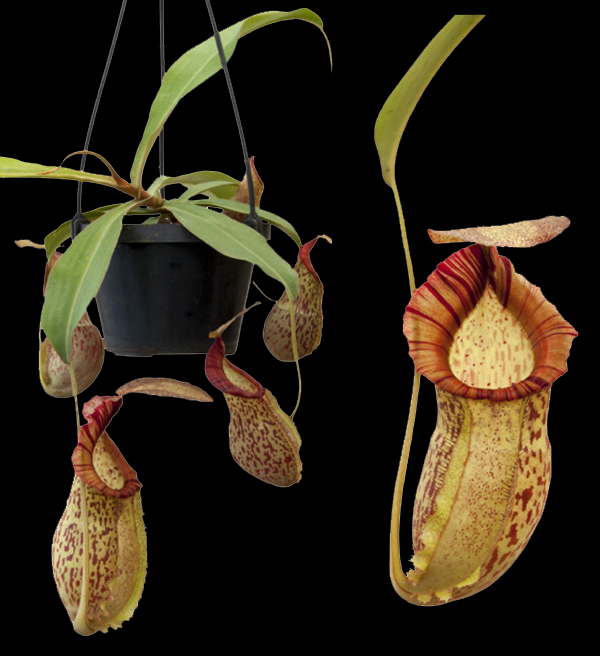 Couple this with the ease of growth, large size, and nice overall coloration of Nepenthes spathulata, and you can easily see the potential these plants have! These are SEED-GROWN plants too, so there will be male and female plants in the mix. Large plants 6 to 12 or more inches in diameter, shipped potted and ready to grow in 6-inch hanging baskets.